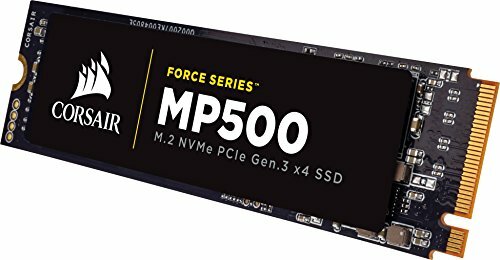 CORSAIR Force MP500 series M.2 SSDs deliver high performance, quick system boot ups, blazing fast transfer speeds and ultimate reliability in a compact form factor. The Force MP500 allows you to access all of your data, load files and launch games up to 4x faster than SATA3 6Gbps SSDs. Available in various capacities including 120GB, 240GB and 480GB models, and compatible with Microsoft Windows, Mac OS X and Linux, with no special driver or administrative rights required.